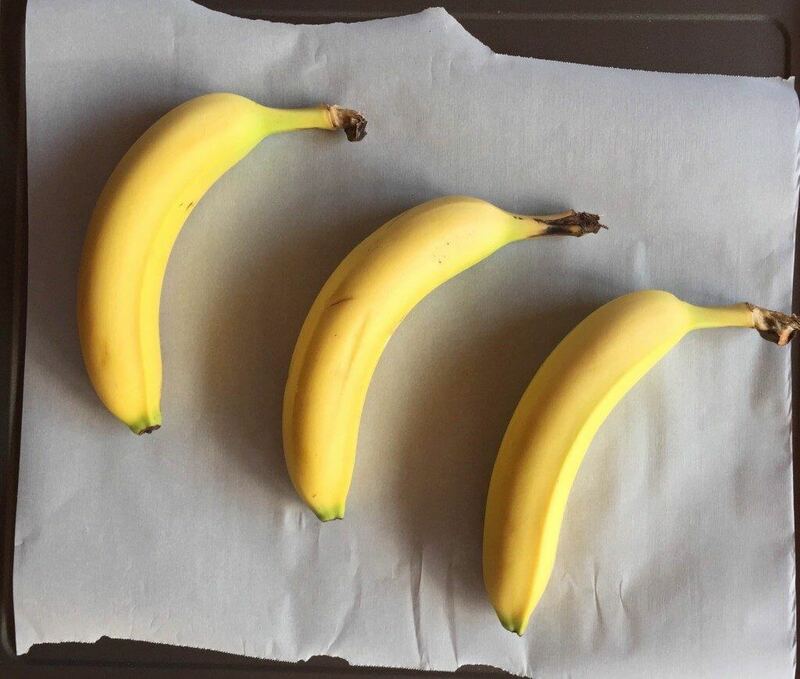 Ripen bananas in the oven in just 25 minutes so you no longer have to wait to make your favorite banana bread recipe. 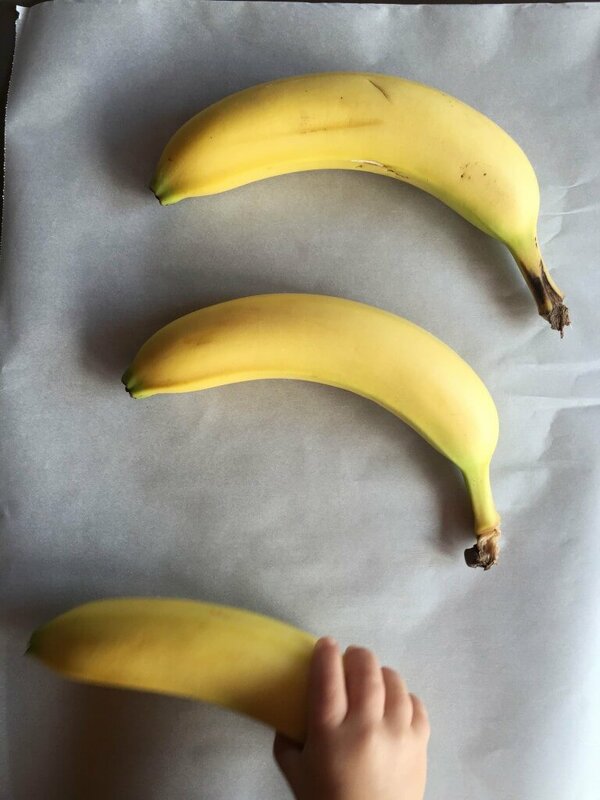 This express ripening tip guarantees perfectly ripe bananas in no time! 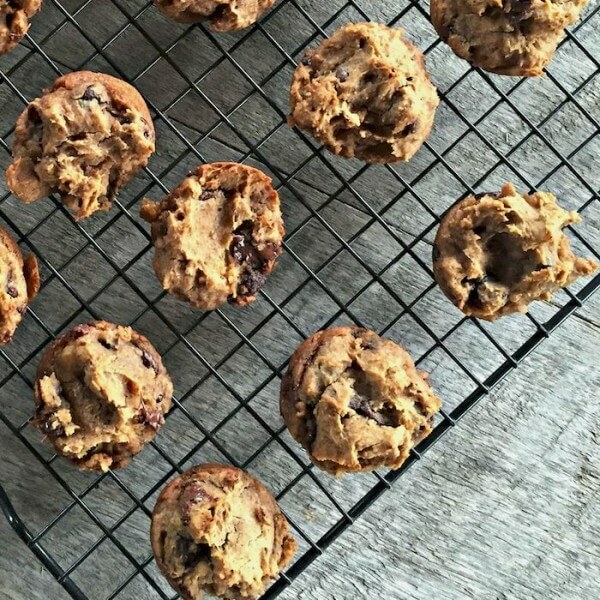 Place unripe bananas on parchment paper. 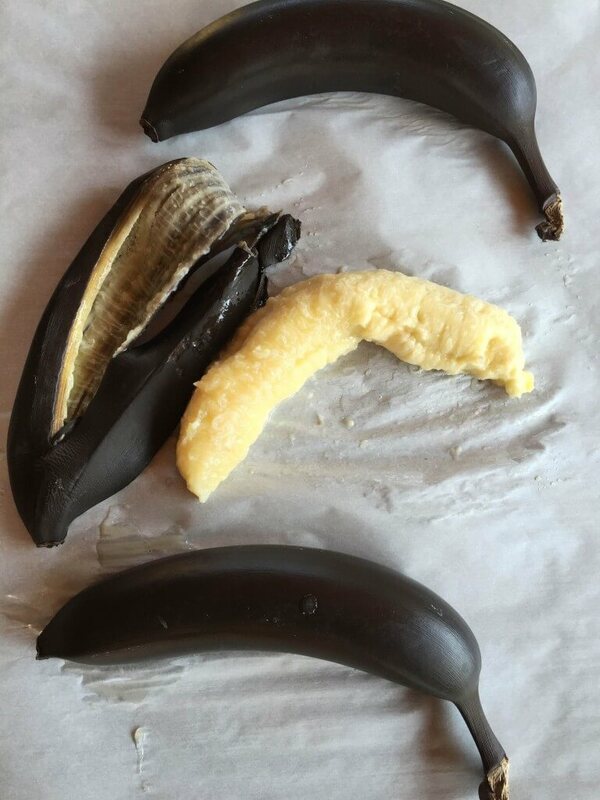 Let banana cool then peel. 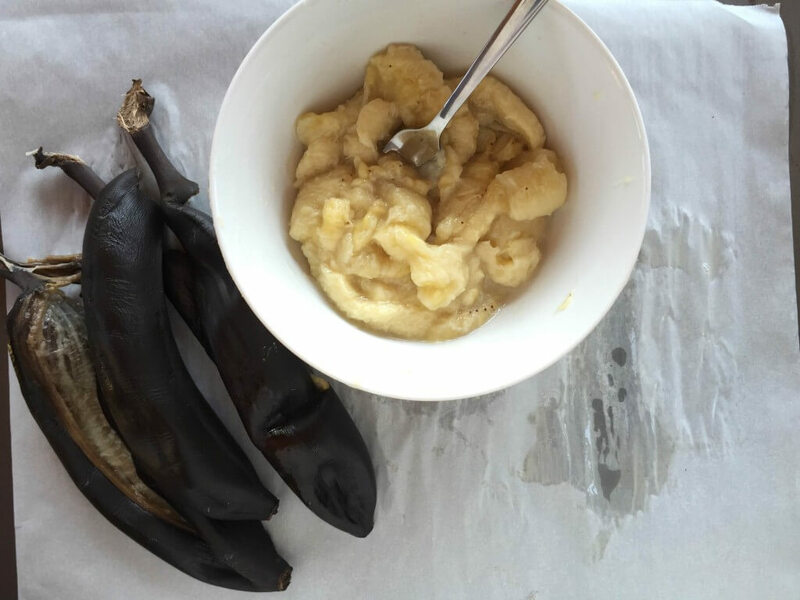 Mash bananas and use in your favorite recipes. The roasted bananas are so sweet and have a pudding-like consistency that I often like to sprinkle them with cinnamon and eat them as a dessert. With their higher sugar content, they make a good alternative sweetener. 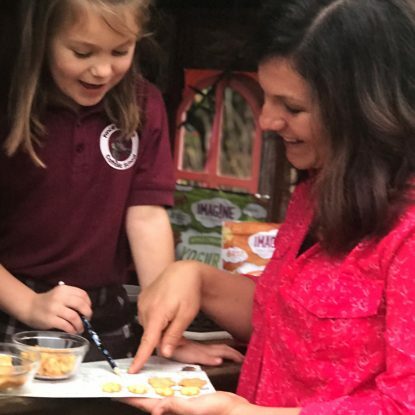 Two of my favorites that use ripe banana as a sweetener are Baked Banana Bread Oatmeal or Mini Peanut Butter and Chocolate Chip Chickpea Blondie Cups. 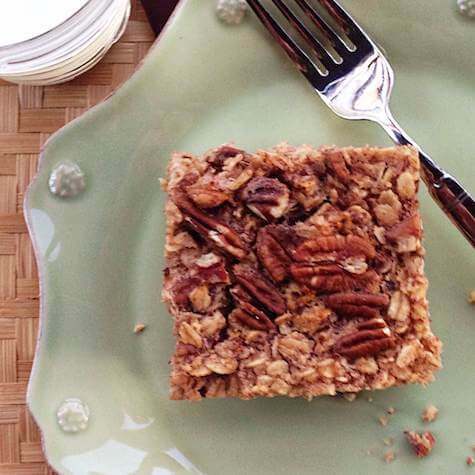 Place unripe bananas on a foil-lined baking sheet. Bake at 350F for 25 minutes. 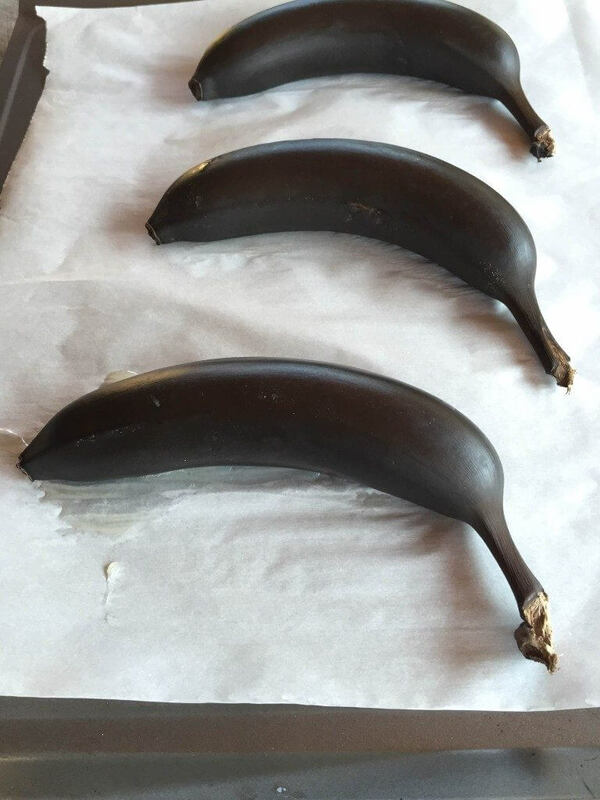 When the bananas are completely black, remove them from the oven and let cool. They get VERY hot! 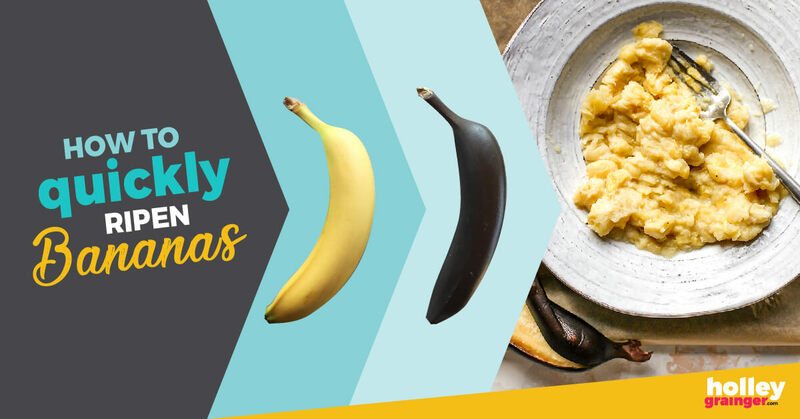 Peel the banana and use the soft, ripe insides for baking or making your other favorite recipes. Ripen bananas in the oven in just 25 minutes by roasting unripe bananas until they are black and soft. 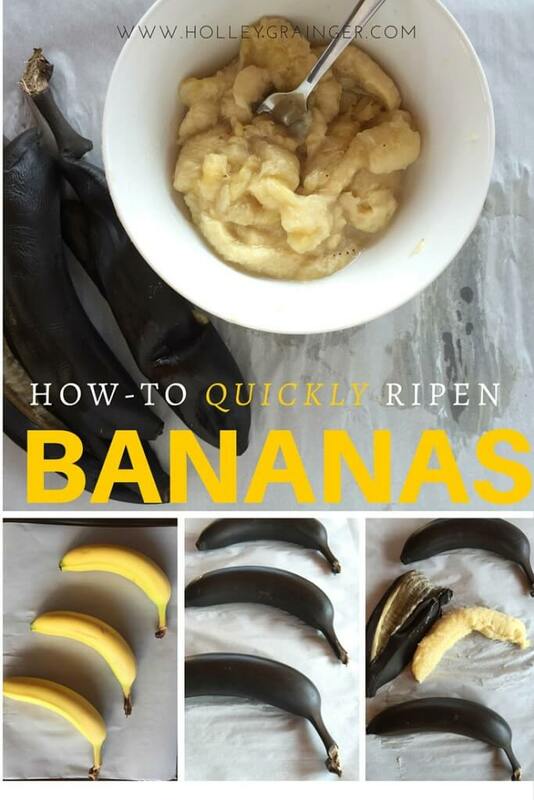 this is such a good tip for ripening bananas when u want to make banana bread the same day. I tried this method after seeing it on multiple sites. I should have read the honest reviews behind it. It’s awful and the bananas come out tasting horrible. I’m sorry you feel this way. They aren’t meant to be eaten solo (although I’ve topped the hot ones on vanilla ice cream before and they were divine. This is my surefire way to have super ripe and sweet bananas every time I’m ready to bake. We love them and I’ve never had complaints. I’ve tried this method twice while baking banana breads today, hoping to save time on the last 2 I needed to bake. Not being able to find ripened bananas, I tried this method. Both times they came out horrible and stinky. The baked banana bread had no banana flavor whatsoever. I guess there is something to said about ripening bananas on their own time. 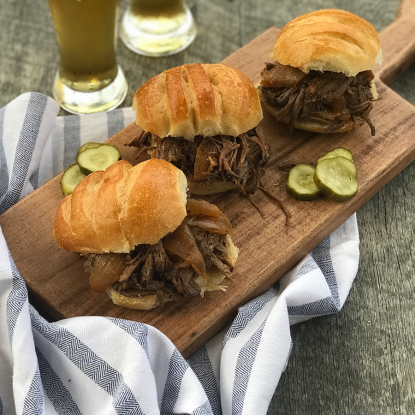 2 breads tossed in the trash made a believer out of me. Glad it worked for others, just not myself. Rick, I’m so sorry this didn’t work for you! What a disappointment! I use this method regularly and have had much success. 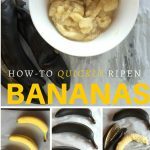 I’m not sure if you have ever tried it but I have asked the produce department at my grocery store if they have ripe bananas in the back (especially if it is a day that they are restocking) and have had some luck finding them. 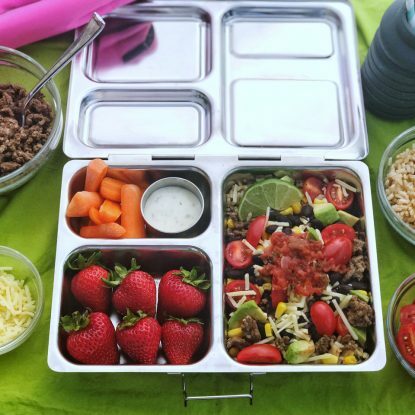 Thanks for giving this method a try!